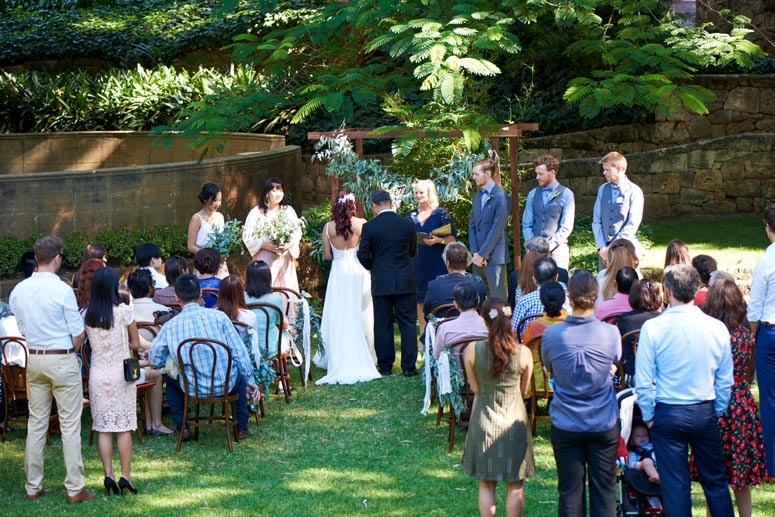 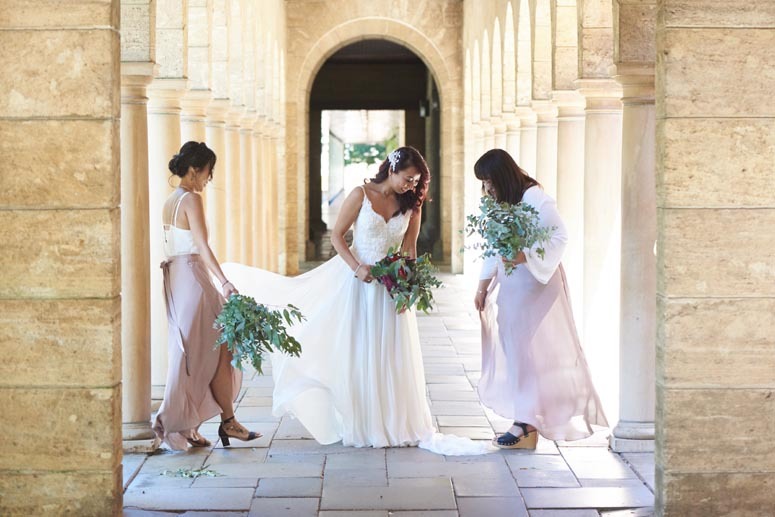 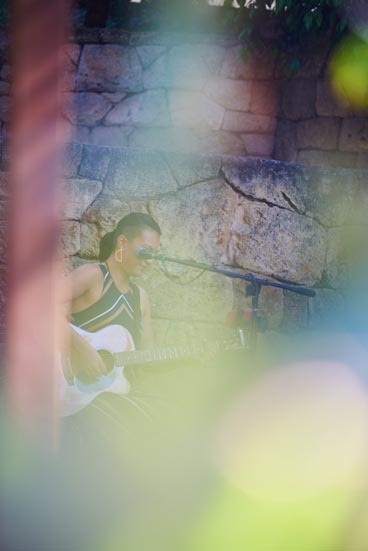 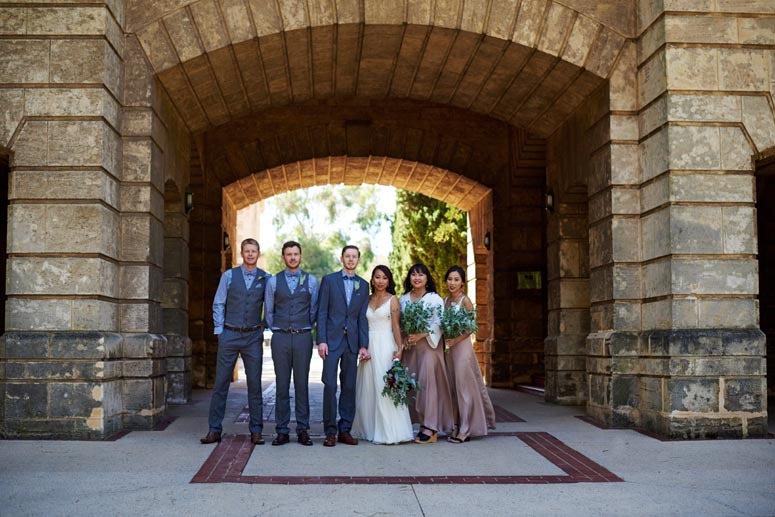 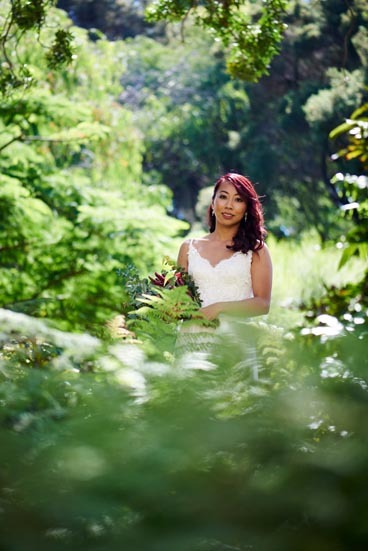 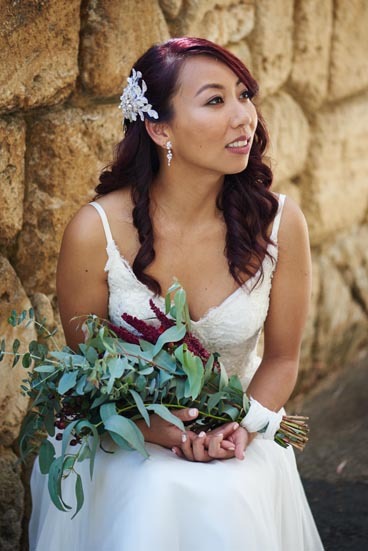 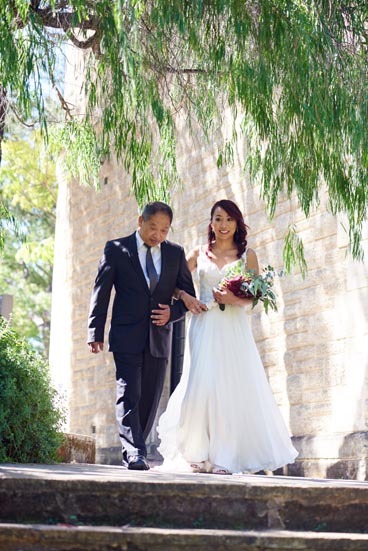 As if the sandstone architecture of the University of Western Australia wasn’t beautiful enough, the campus also has the Sunken Gardens—an intimate little amphitheatre surrounded by landscaped gardens and terraced lawns that’s been used by Perth brides since the 1940s. 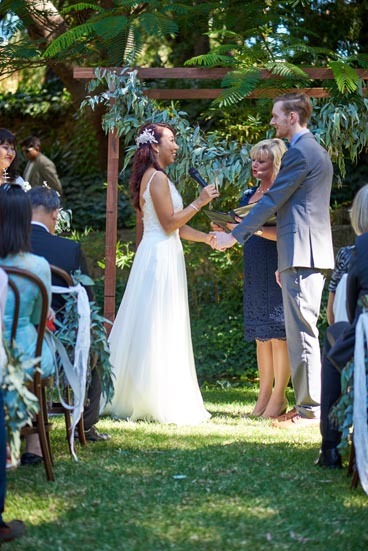 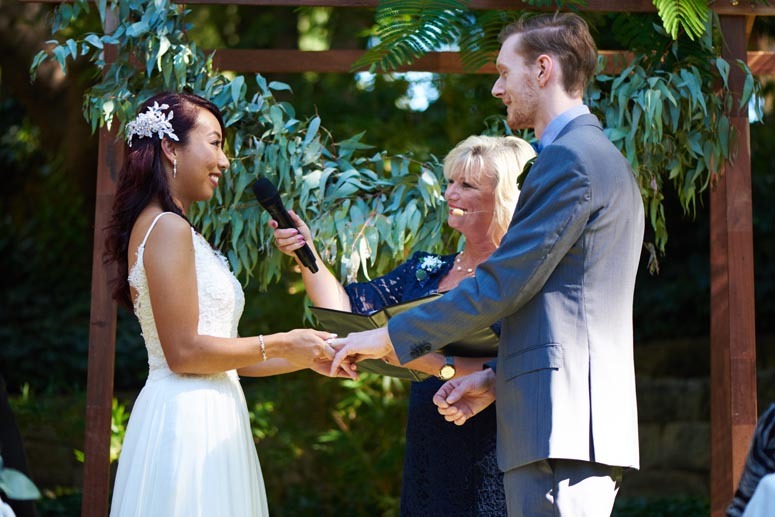 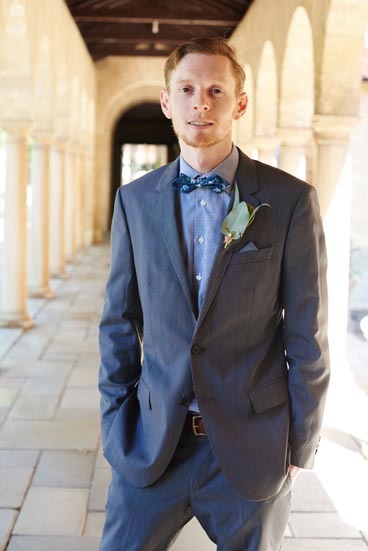 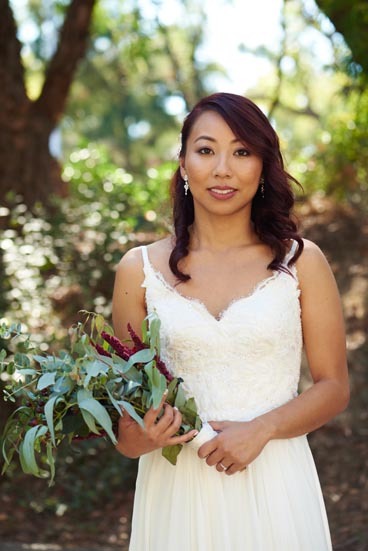 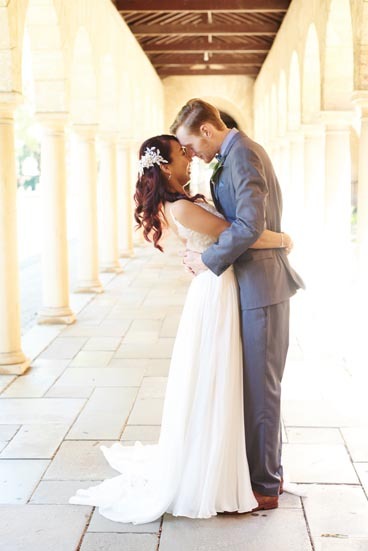 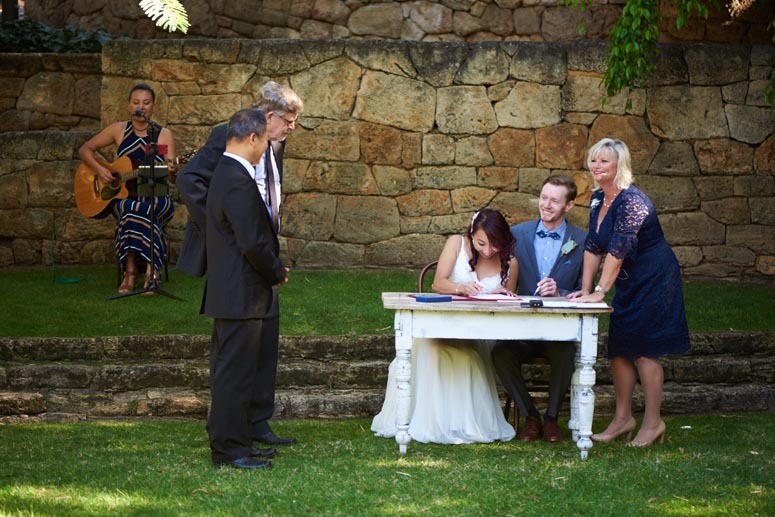 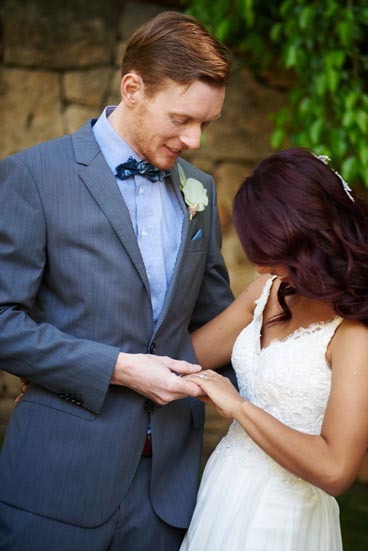 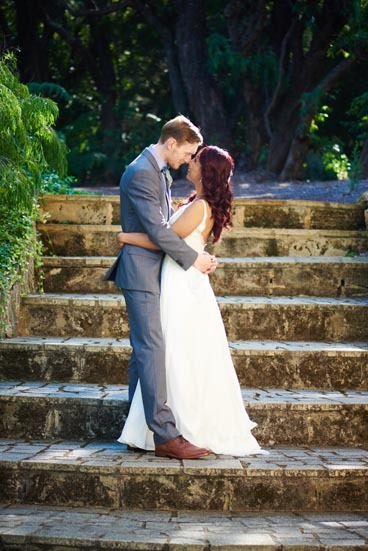 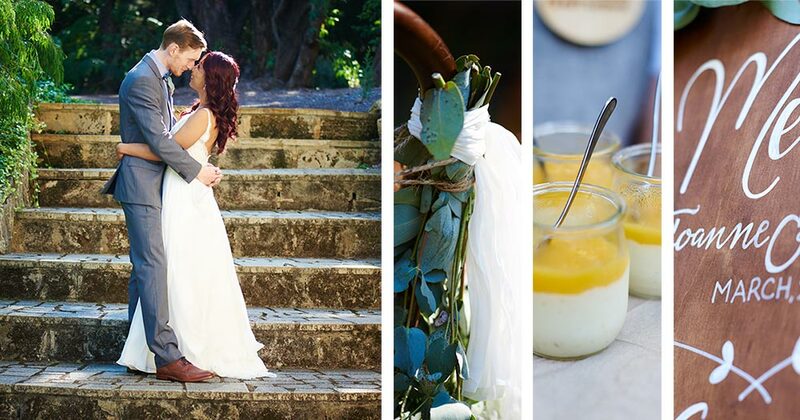 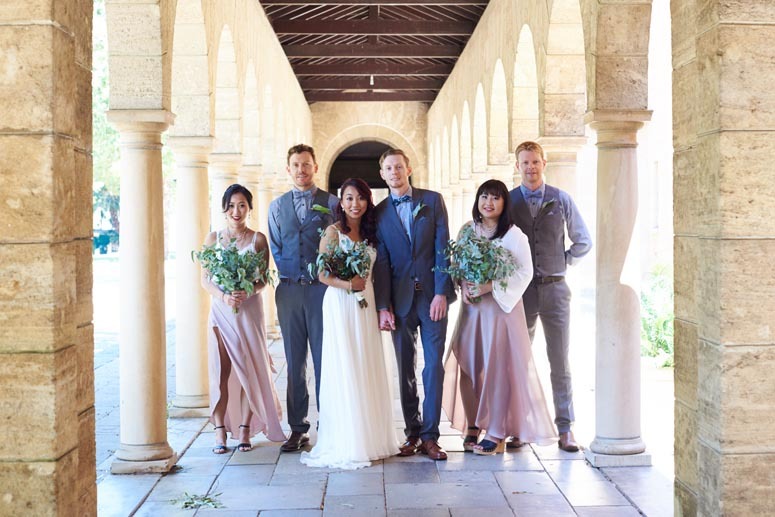 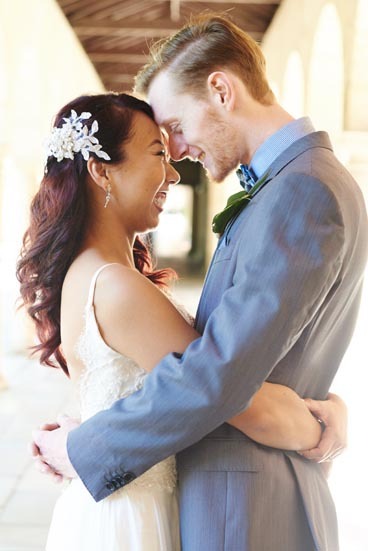 It was the perfect place for Joanne and Stephen to tie the knot on a balmy autumn afternoon with every moment of their special day recorded by Anthea from Love Story Photography. 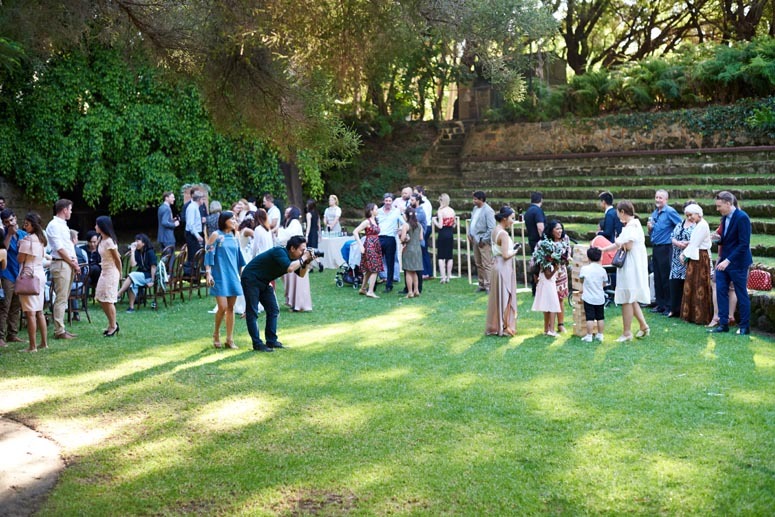 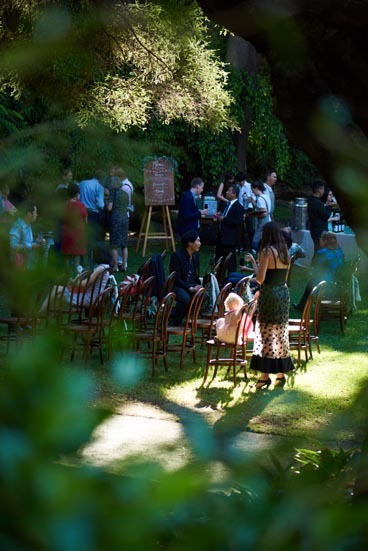 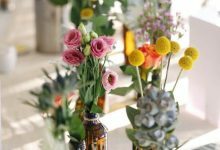 Anthea described the garden as magical and says that the whole thing felt like an enchanted fairy tale: the soft light, vows of love, gentle music, sound of children, laughter and tinkling glasses filling the air. 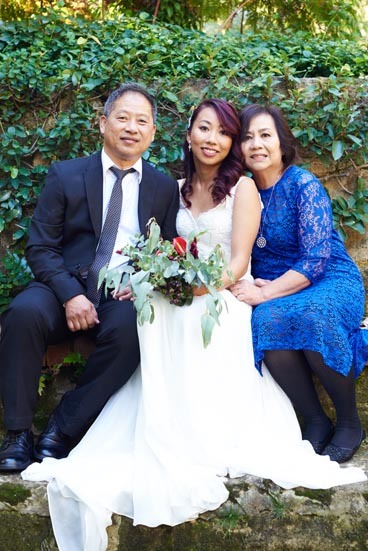 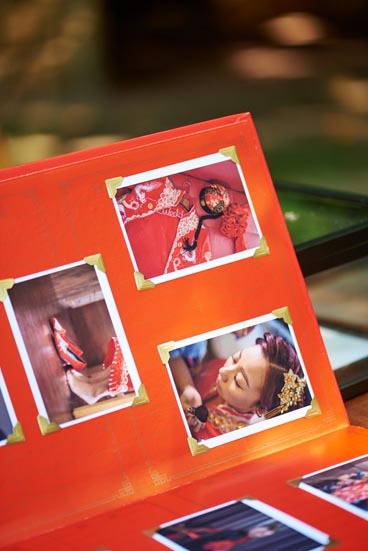 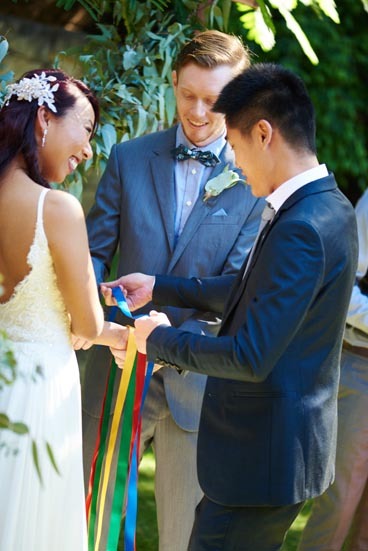 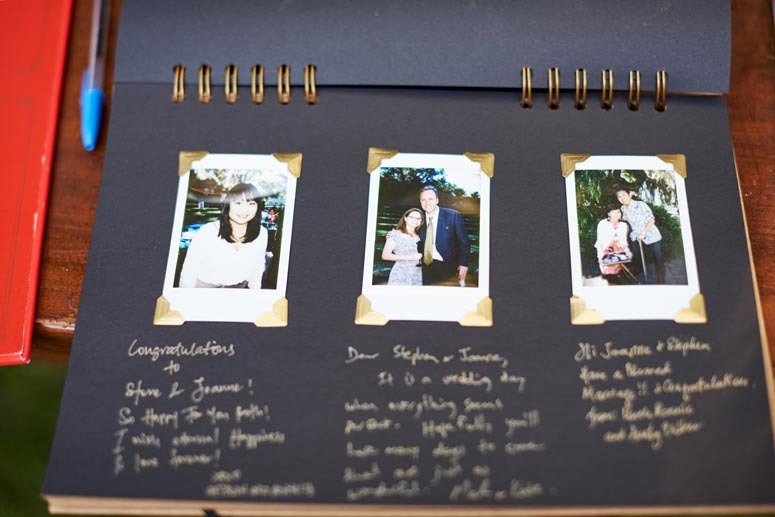 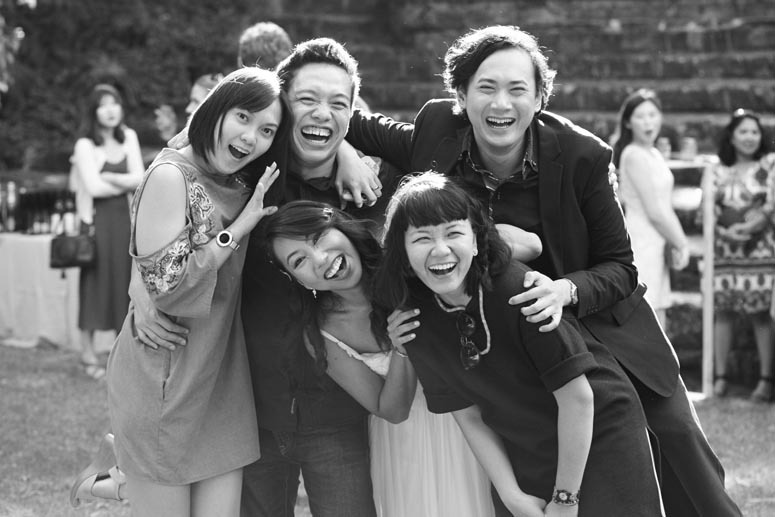 Friends and family travelled from all over to witness the special day; from Malaysia, Singapore, Hong Kong and Melbourne. 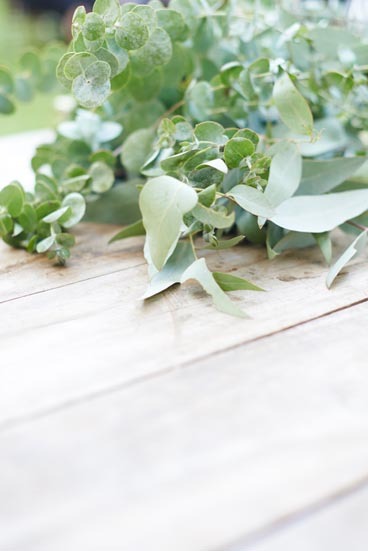 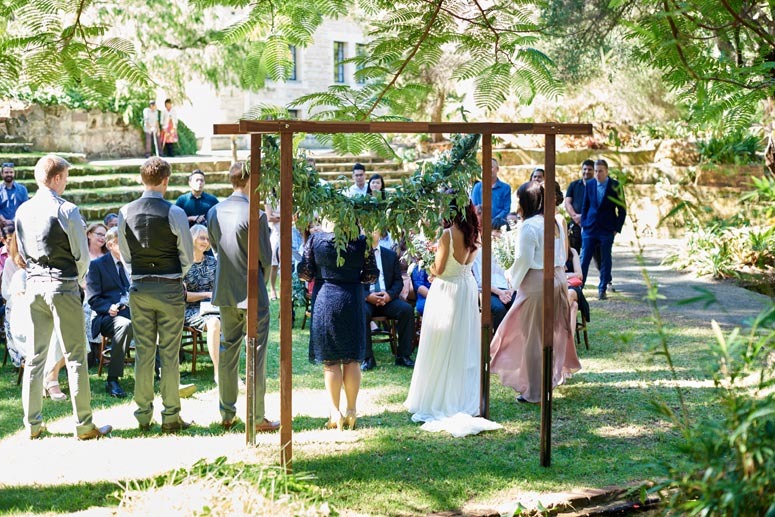 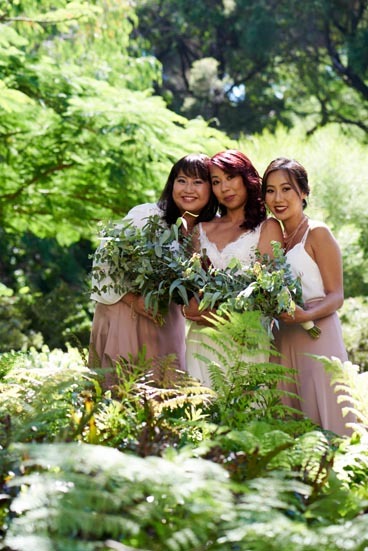 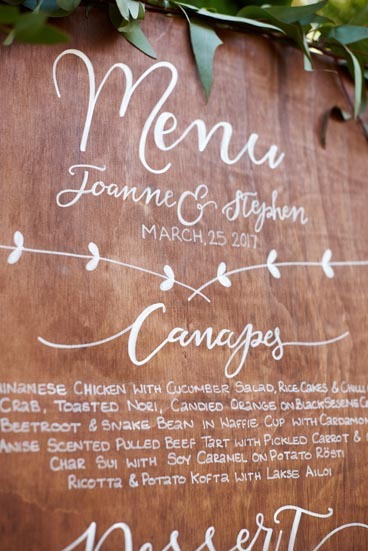 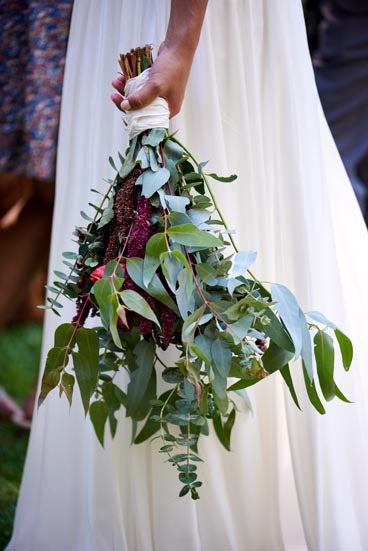 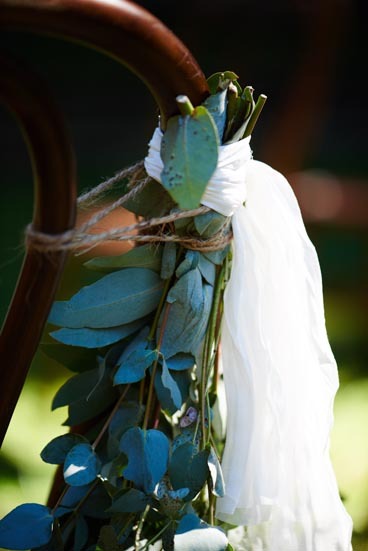 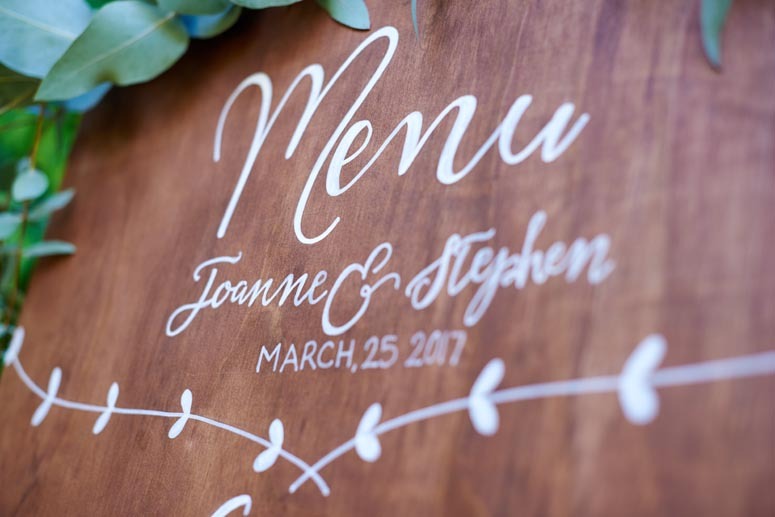 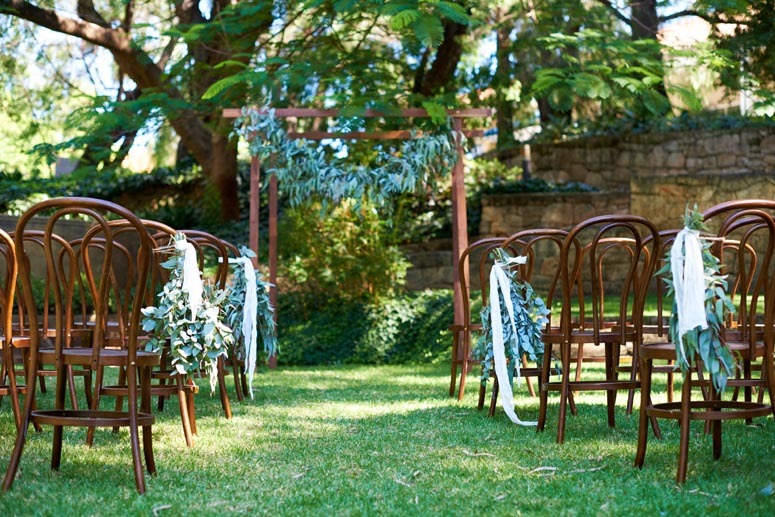 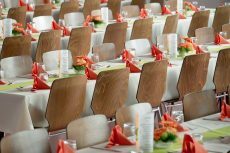 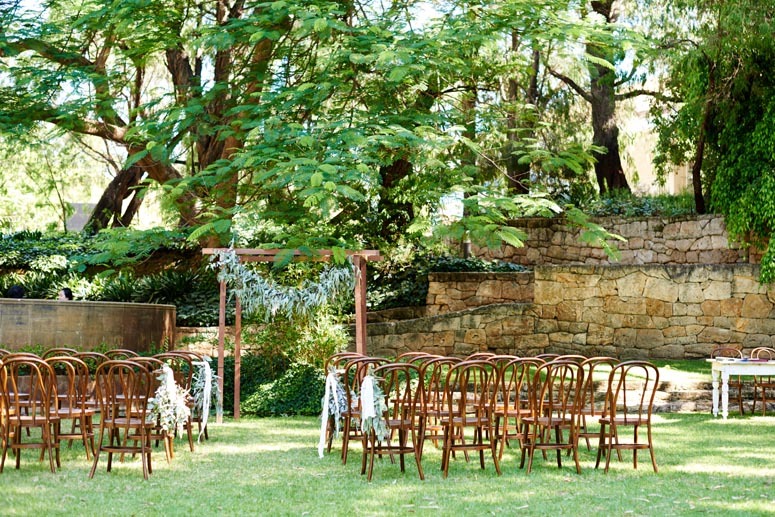 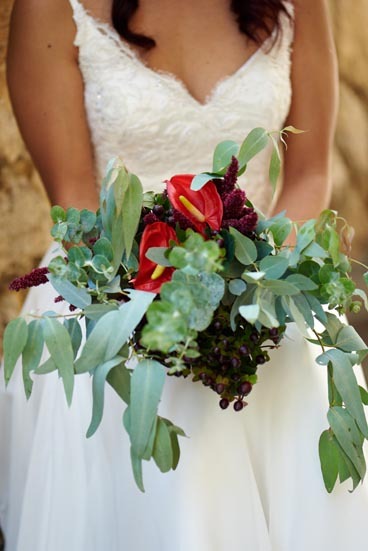 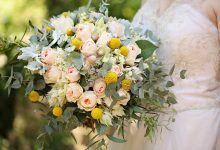 Travelling Jaspers did the styling, decorating a rustic wooden arbor with Eucalyptus leaves and arranging simple bunches of leaves on plain wooden chairs. 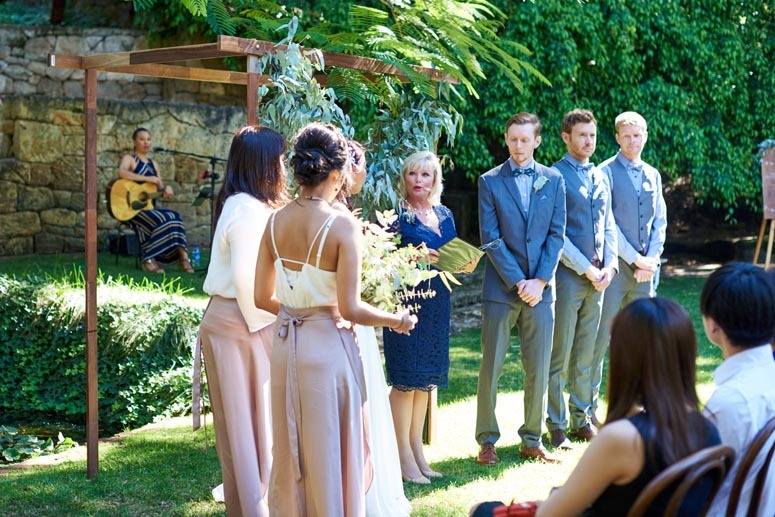 The ceremony was conducted by Joyce Mathers. 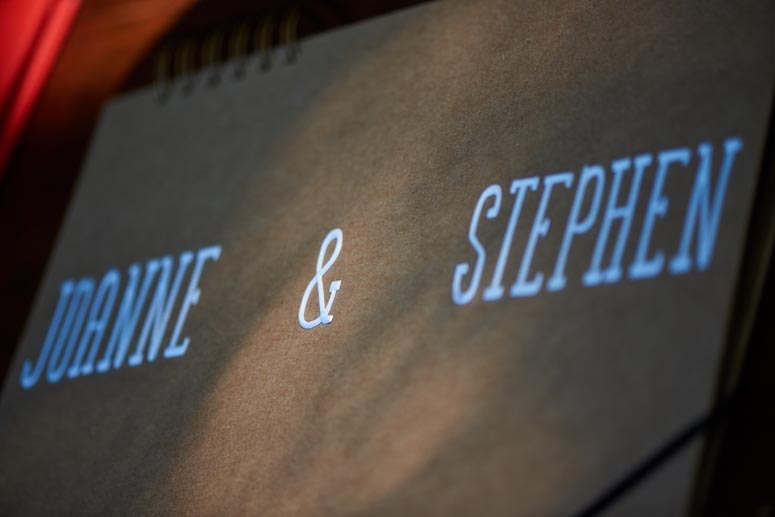 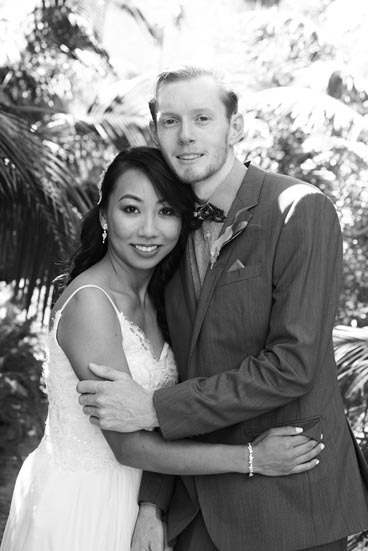 Anthea says that Joanne and Steve are a kind, easy-going couple and their obvious love and admiration for each other was a joy to photograph. 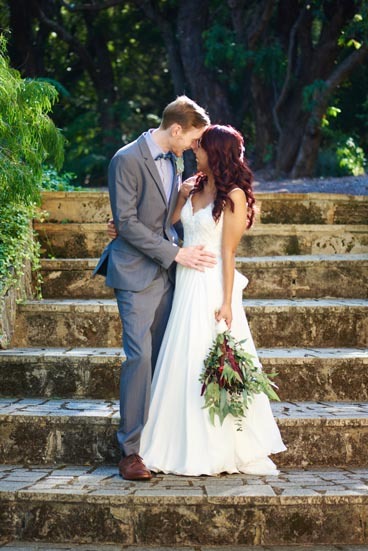 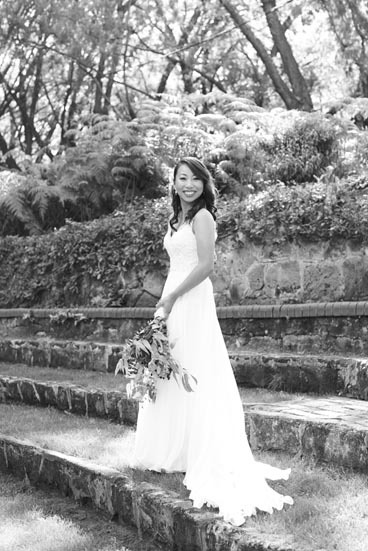 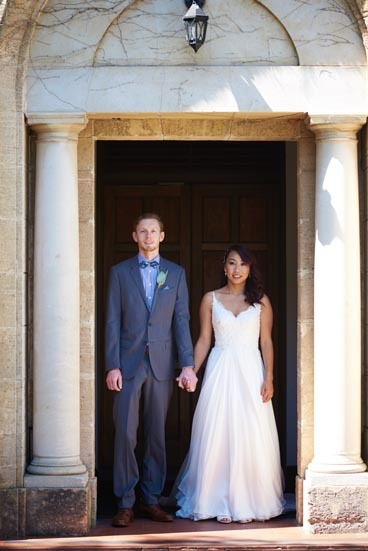 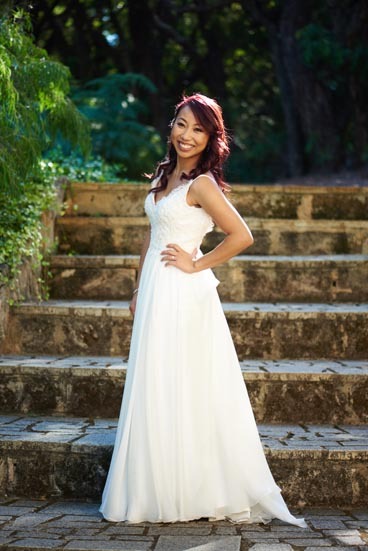 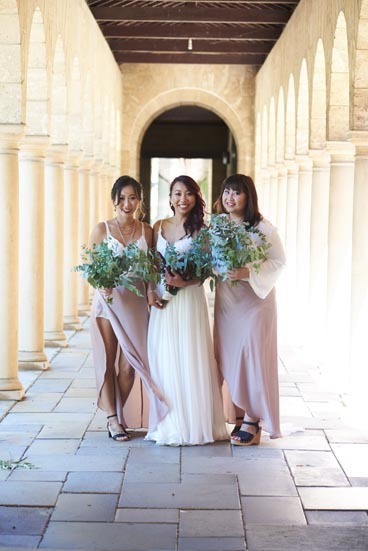 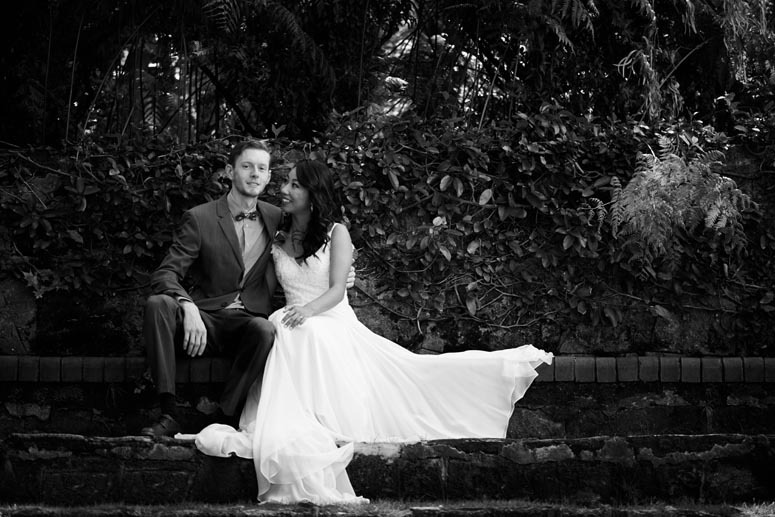 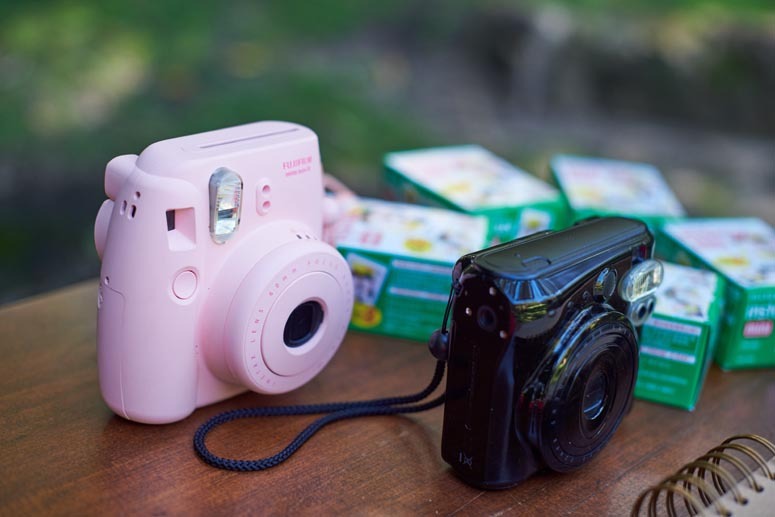 She loved taking their pictures among the beautiful sandstone buildings, the lush, tropical gardens, the regal columns and passages of UWA. 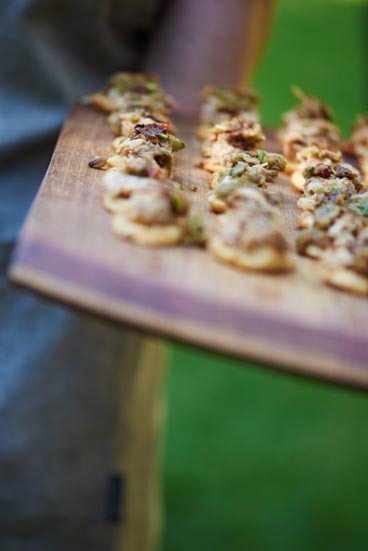 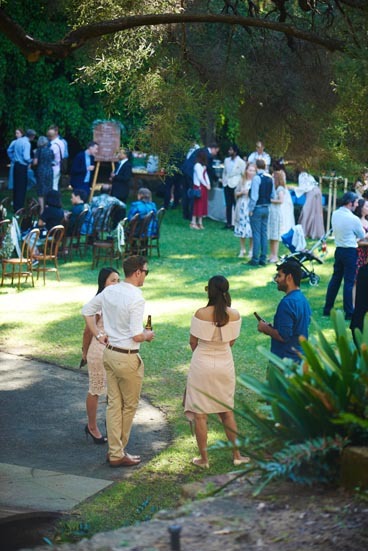 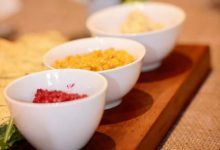 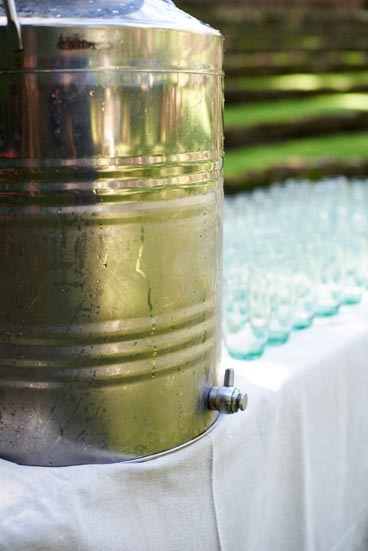 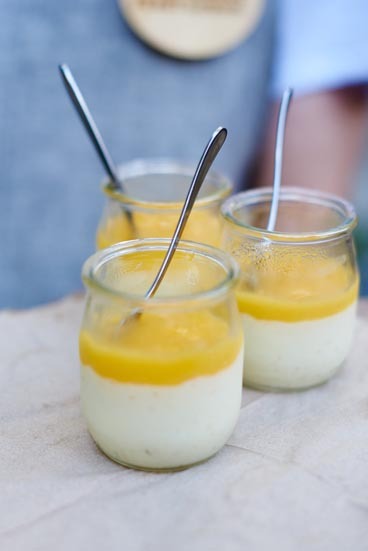 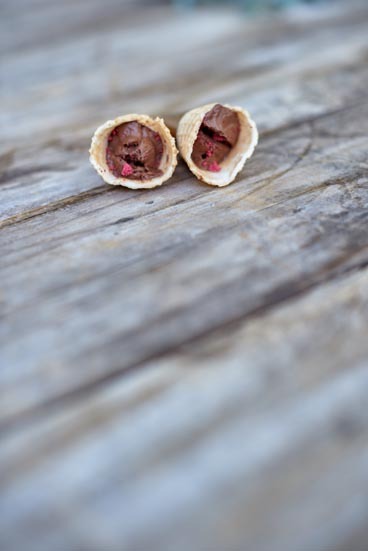 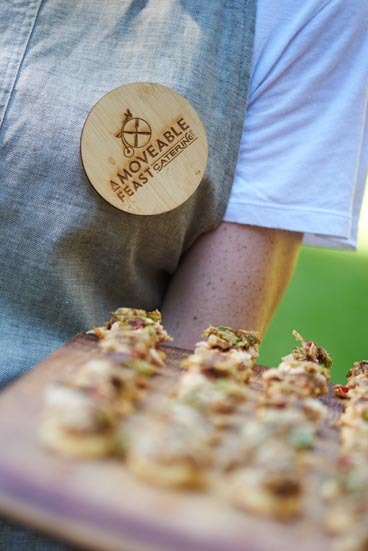 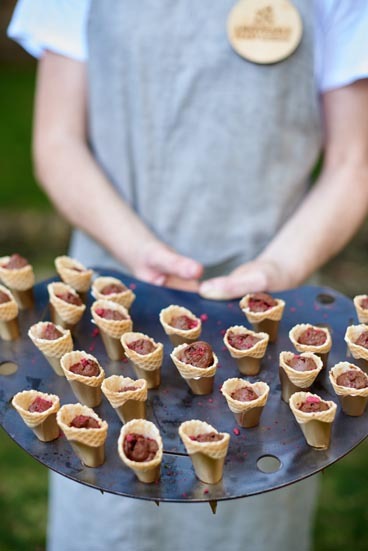 The food was an array of charming and tasty bites, circulated through the garden from A Moveable Feast Catering all afternoon long and washed down with house-mixed Singapore Sling and local ale, Feral Hop Hog.